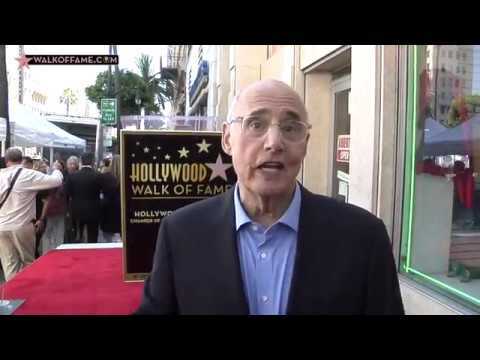 The Hollywood Chamber of Commerce proudly honored actor Jeffrey Tambor with the 2,617th star on the Hollywood Walk of Fame today, Tuesday, August 8, 2017 at 11:30 a.m. PDT. The star was dedicated in the category of Television at 6320 Hollywood Boulevard in front of Iguana Vintage Store near the famous corner of Hollywood and Vine. Helping Emcee and Hollywood Chamber President/CEO Leron Gubler to unveil the star were guest speakers Joe Lewis, Head of Comedy and Drama at Amazon Studios and Mitchell Hurwitz, Creator of “Arrested Development”. Jeffrey Tambor has earned deep respect for being one of the most versatile and accomplished character actors in film and television. Tambor’s unforgettable roles in such popular TV hit series as “The Larry Sanders Show” and “Arrested Development” reveal his unique comedic gifts, while his roles in films such as “And Justice for All” and “Meet Joe Black” display the depth of his dramatic sensibilities. Tambor was born in San Francisco, where he attended San Francisco State University and received a B.A. in Drama in 1965, and then went to Wayne State University earning an MFA in 1969. He was studying for his PhD when he left in 1970 for a role in “Richard II” with Richard Chamberlain at the Seattle Repertory Theater. Tambor made his Broadway debut in the comedy “Sly Fox” (1976), opposite George C. Scott, directed by Arthur Penn. He appeared in the New York Shakespeare production of “Measure for Measure” that same year. He has since remained active in theater. Tambor directed Lanford Wilson’s “Burn This” at the Skylight Theatre in Los Angeles; acted and directed at many regional theatre companies, such as the Academy Festival Theatre in Chicago and the Loeb Drama Center at Harvard; and acted in plays by such diverse playwrights from Shakespeare, Molière and Chekhov to more contemporary writers. In 2005, Tambor returned to Broadway as George Aaronow in David Mamet’s “Glengarry Glen Ross,” which won the Tony Award for Best Revival of a Play and a Drama Desk Award for Outstanding Ensemble Performance. Tambor can currently be seen in the Golden Globe winning Amazon show “Transparent,” written by Jill Soloway and co-starring Judith Light, Gaby Hoffman, Amy Landecker and Jay Duplass. Tambor was awarded two Emmy Awards and a Screen Actors Guild Award and a Golden Globe Award for his portrayal of Maura, who spent her life as Mort, the Pfefferman family patriarch. After Maura reintroduces herself to her family, everyone’s secrets finally start to come out. He recently starred in the film “The Accountant” opposite Ben Affleck, Jon Bernthal, J.K. Simmons and Anna Kendrick. The film, directed by Gavin O’Connor, follows a mild manner accountant who moonlights as a lethal assassin. Tambor has also appeared in the films “Mr. Popper’s Penguins,” “Flypaper,” “Paul,” and “Win, Win.” He has appeared in the two “Hellboy” films, all three “The Hangover” movies, “The Invention of Lying,” “There’s Something About Mary,” “City Slickers,” “Miss Congeniality,” “Dreamchasers,” “Mr. Mom,” “Brenda Starr,” “Radioland Murders,” “Doctor Dolittle,” and “Pollock.” For the feature adaptation of “How the Grinch Stole Christmas” (2000), he played the Mayor of Whoville. Tambor starred in the HBO film “Phil Spector,” opposite Al Pacino and Helen Mirren, and in “For the Love Of Money,” with Edward Furlong. Tambor’s memoir “Are You Anybody?” published by Crown Archetype, was released in May 2017. Tambor supports the following charities: LA LGBT Center and Elton John AIDS Foundation. For more than 96 years, the Hollywood Chamber of Commerce has provided leadership, business development resources, networking, and government affairs programs and services to keep the Hollywood business and residential communities safe, relevant and economically vital. Jeff Zarrinnam, is the Chair of the Hollywood Chamber of Commerce Board of Directors 2017-18, and Leron Gubler is the President/CEO of the Hollywood Chamber of Commerce. For more information please visit www.hollywoodchamber.net.